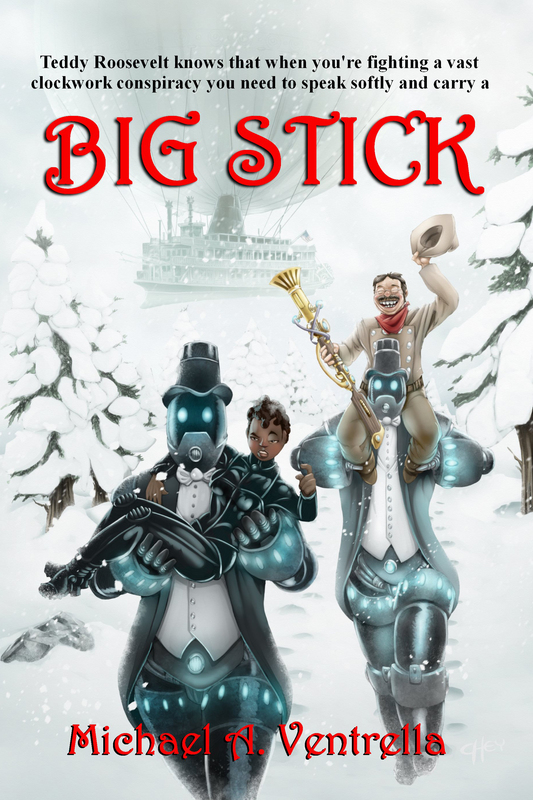 MICHAEL VENTRELLA: Today I am pleased to interview author Mike McPhail. 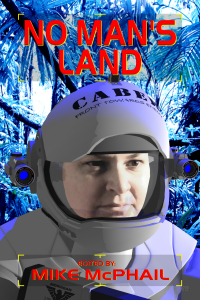 Author and artist Mike McPhail is best known as the editor of the award-winning Defending the Future (DTF) series of military science fiction anthologies. 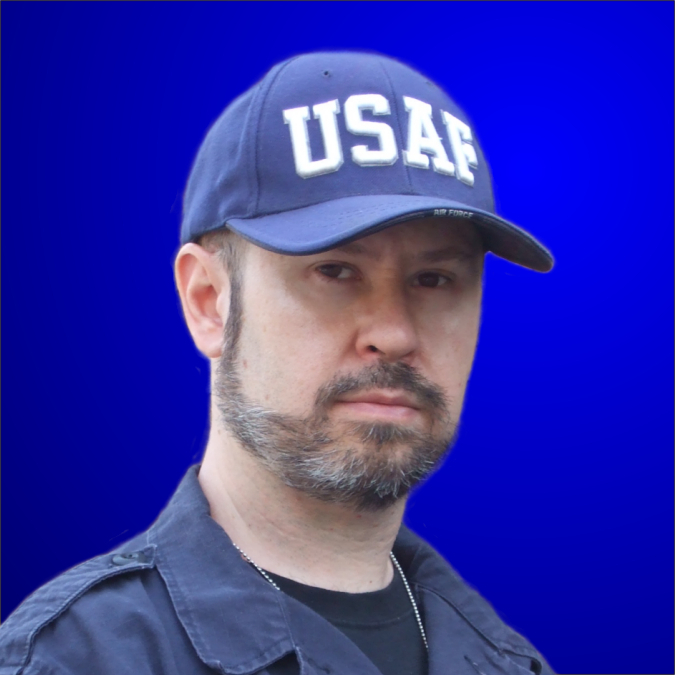 Currently he is the administrator for the Dark Quest Books’ imprints DTF Publications (MilSciFi) and Starsong Press (SciFi). He is the creator of the science fiction universe the Alliance Archives (All’Arc), which serves as the backdrop to his (and other authors’) stories. Its related role-playing game is part of the dC percentile family of game mechanics, as used in the Martial Role-Playing Game (MRPG) series. Mike – you began, like me, developing plots and worlds for games. How did you decide to start writing fiction? MIKE McPHAIL: It was an accident, no really it was. My wife (the award-winning Danielle Ackley-McPhail), had long been after me to let her write a story set within my gaming universe — The Alliance Archives (All’Arc) — but I was worried that she didn’t have enough experience playing the game to get the finer points right. 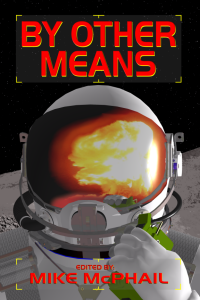 So I wrote a back story (a little more advanced than you would for a game scenario), which was heavily laden with techno-babble, terminology, and in-game historical reference, in order to help her along. Well she read it and said, “I don’t need to write the story, you can do it yourself.” and thus I was proclaimed to a writer. VENTRELLA: Were your first attempts successful? McPHAIL: Yes, but I had the advantage of working with people that already “had been there,” to advise me on how to pick and work for a specific project, rather than just sending work out, and hoping someone would buy it. Plus not having any “dreams of grandeur” helped; I hadn’t planned to be an author, so whatever came my way, I looked at as a blessing. VENTRELLA: Let’s talk about the problems inherent in using games as a foundation for your fiction. I have advised those who have asked that they should begin by throwing out all the game rules. Have you found that to be the case? McPHAIL: Not in my case. The All’Arc game mechanics were developed during my Academy days to allow the Marines in the group to have a more realistic portrayal of combat (a.k.a. what they learned and did in real life). But generally I would agree with that statement, since most gaming systems don’t have a real-world application, it could very easily get in the way of making your story seem plausible. VENTRELLA: The goal in my fantasy fiction has been to make sure it doesn’t read like it was based on a game. Do you agree, and if so, what techniques do you use to accomplish this goal? VENTRELLA: What advice would you give to someone wanting to write a story in a game world? McPHAIL: Don’t take it verbatim from a game you have played. What works when a group of friends are sitting around a table enjoying themselves almost never translates. So use the game only as inspiration, taking from it the key facts, and relating some of the more interesting events. Above all, have people outside your gaming group read your work, since your players are going to be too close to be objective about how good, or bad it is, or what needs to be done to advance it. VENTRELLA: Tell us about your novels. McPHAIL: I don’t have an “inner need” to write novels. I’m much happier doing short stories. But having said that, my publisher is looking to have me write some game tie-in novellas to go along with the re-release (or should I say, his release) of the All’Arc, now to be known as the Martial Role-Playing Game (MRPG) Core Manual. VENTRELLA: Do the short story collections you edit take place in the world of your novels? McPHAIL: I haven’t done an Archives collection yet, but my stories in the DTF anthology series are set within the realm of the All’Arc. In Dani’s case, she writes in the “universe” using the technology/terminology, but her stories aren’t part of the game’s original timeline. VENTRELLA: What are the biggest difficulties you have faced when editing a collection? McPHAIL: Keeping all the contributing authors “happy.” We’ve be fortunate enough to have in the DTF series some of the biggest names in science fiction, and their participation is purely due to them knowing us. As the saying goes, “small-press, small-pay,” so they are not in it for the money. Over time we have had problems with the books’ publishers, and naturally the authors come to us when they have issues. Then I would chase down the publisher for answers. Now-a-days, that chain of command is shorter. Dark Quest Books (the current publisher of the series), made me an administrator for one of their imprints, so now I’m in charge of publishing the series. And yes I yell at myself all the time over it. VENTRELLA: What is your military background? McPHAIL: I enlisted in the Air National Guard; originally I was hoping for ordinance, but the only opening was in Air Cargo, so by the family standards, I’m a slacker. Dad joined the Army Air Corp in WWII, and served until Vietnam; my father-in-law was a Navy attack pilot in Vietnam; and my wayward-son is an Army Lieutenant, winner of the Bronze Star. VENTRELLA: Do you believe it is important to “write what you know”? McPHAIL: Yes, but that doesn’t mean you can’t learn new things to write about. Typically I spend a third of my time writing, the rest either looking things up on the internet (or in my reference library, yes I’m talking about books), or calling someone I know that is in that related field. The more of your own life experiences you can introduce in to your characters, the more believable and relatable they will become to your readers. VENTRELLA: What projects are you working on now? 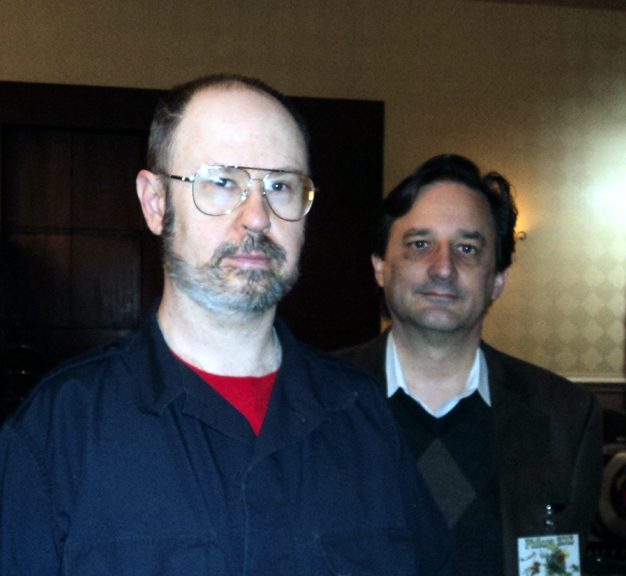 McPHAIL: For 2012, besides the re-release of the Dark Quest version of the MRPG, we have started working on DTF5 Best Laid Plans; producing Phoebe Wray’s Jemma 7729 and J2; updating James Daniel Ross’ Radiation Angels series; David Sherman also has something in the pipeline. With 2013’s projects already forming up in the queue. VENTRELLA: Have you found that publishing short stories has helped you gather new readers? McPHAIL: Name association from the DTF anthologies is priceless. For example if you did an Amazon search for say Jack Campbell (LOST FLEET), well he’s been in several of the books I’m in, so my work show up as a related title. VENTRELLA: How did you find your publisher? McPHAIL: We met at a gaming convention, things where slow, so we sat and talked. I told him about the game I came up with at the Academy, and how I put it on the shelf and only used it as reference for my writing. 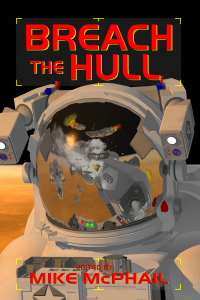 Well, the small press that had published my first DTF book (BREACH THE HULL) gave us the go-a-head to do the second one (SO IT BEGINS), but, when the time came for us to transfer the finished file so he could send it off to press, all of a sudden, his publishing empire was no more. Then we remembered that game publisher we had met at the convention, he had said something about wanting to do books as well as games, and the rest his history. McPHAIL: Accessibly. The big-houses are pretty much out of reach for a new writer, all they seem to want these days are top seller author, and even at that you only have a few months to prove your worth or you’re out. VENTRELLA: What’s your opinion on self-publishing? Do you advise starting writers to consider that? McPHAIL: Generally I would not advice self-publishing if you’re looking to become a “main-stream” author; writing the story is only part of the process. There are a lot of different skills needed to produce a professional-looking book, everything from editing and layout, to cover art and back cover copy, and yes, you will be judged by the cover of your book. My wife and I have been out on the frontline as authors, books sellers and promoters for over a decade now. In our case, we had the advantage having worked in the printing / publishing industry.